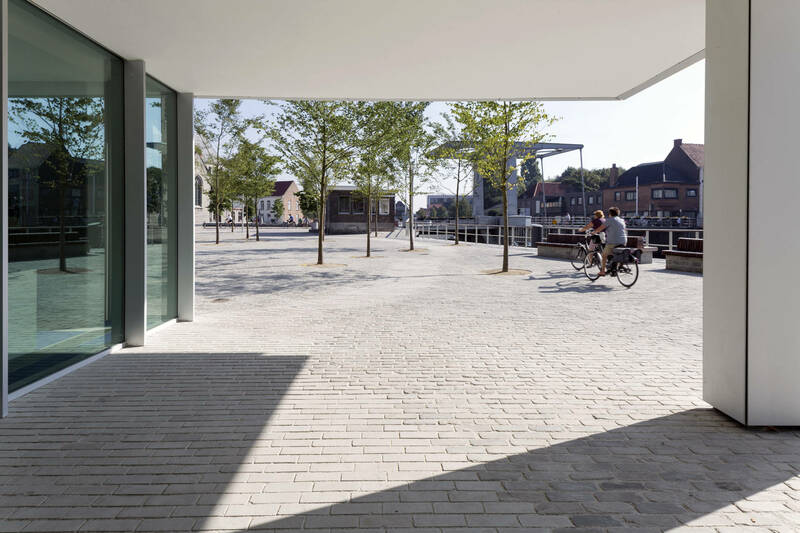 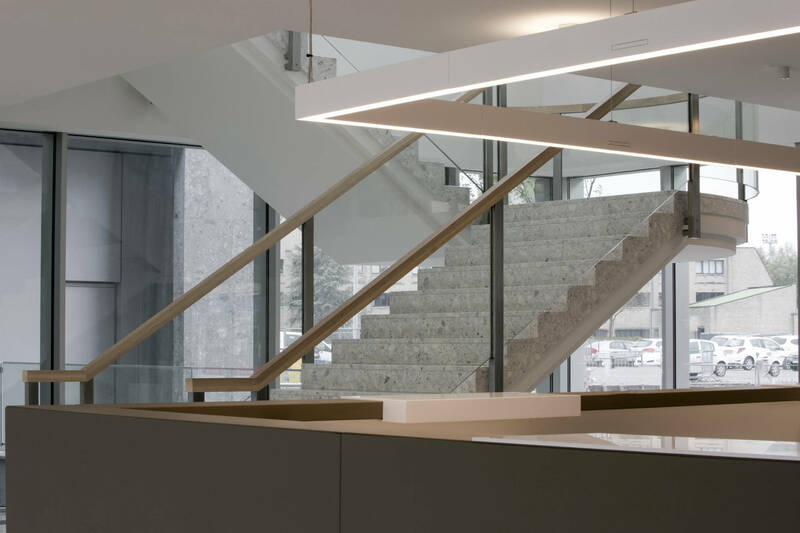 An international competition-winning scheme for a new Administrative Centre in Deinze, Belgium organised by the Vlaams Bouwmeester Open Oproep. 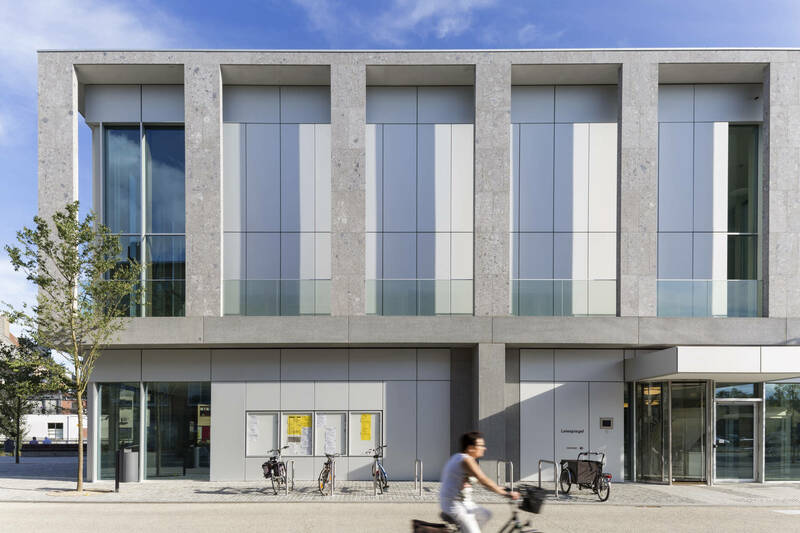 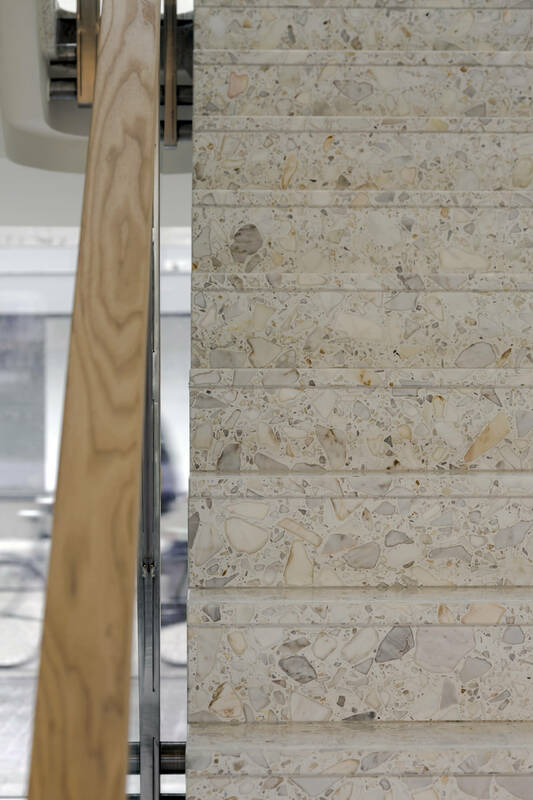 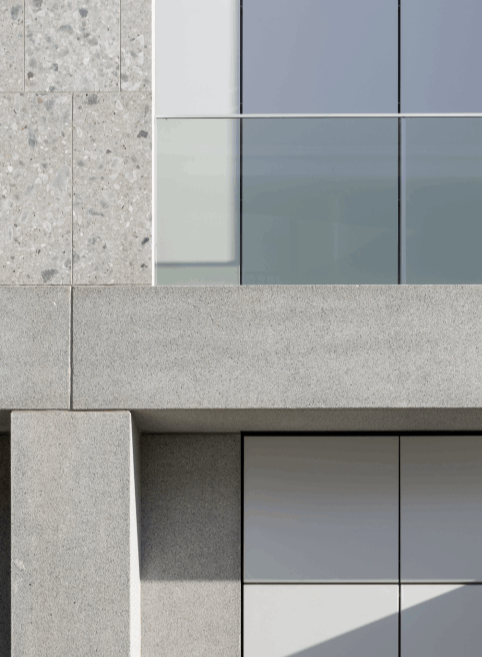 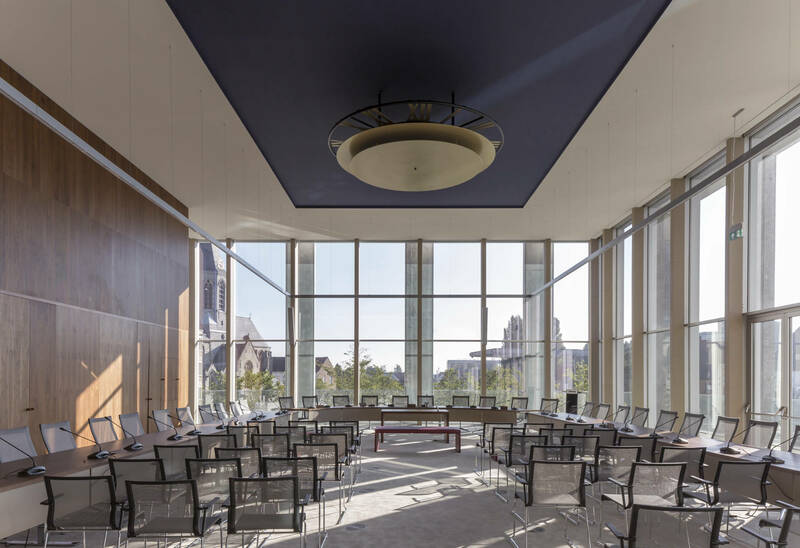 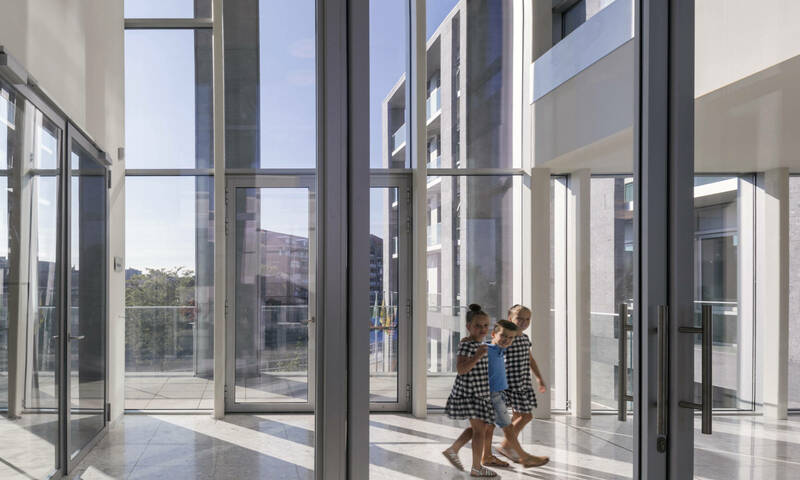 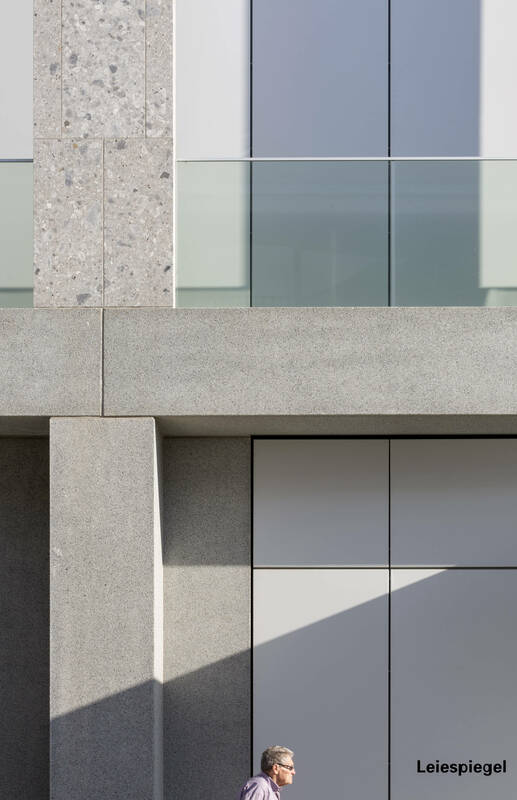 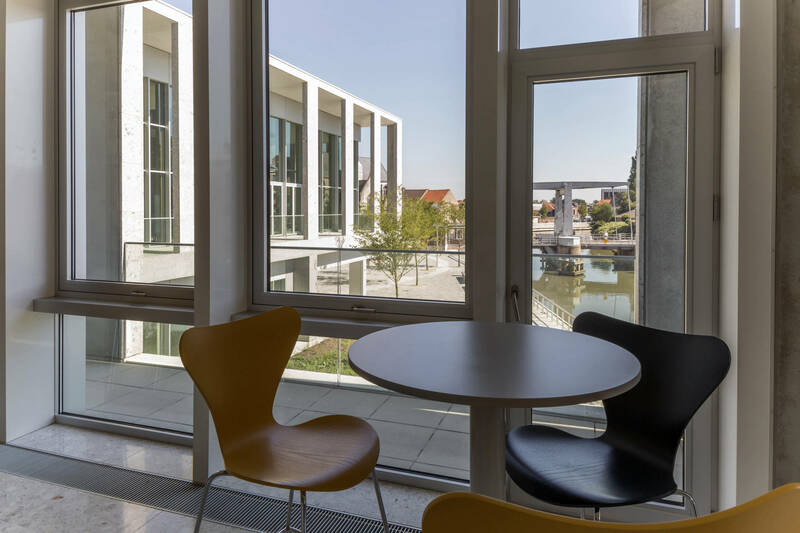 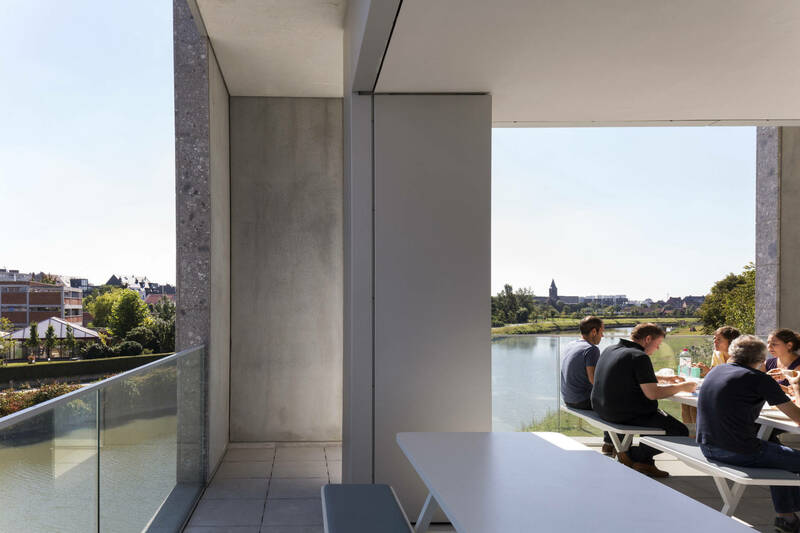 The new building is clad in grey Belgian marble and set in a pivotal location neighboring the Church and River. 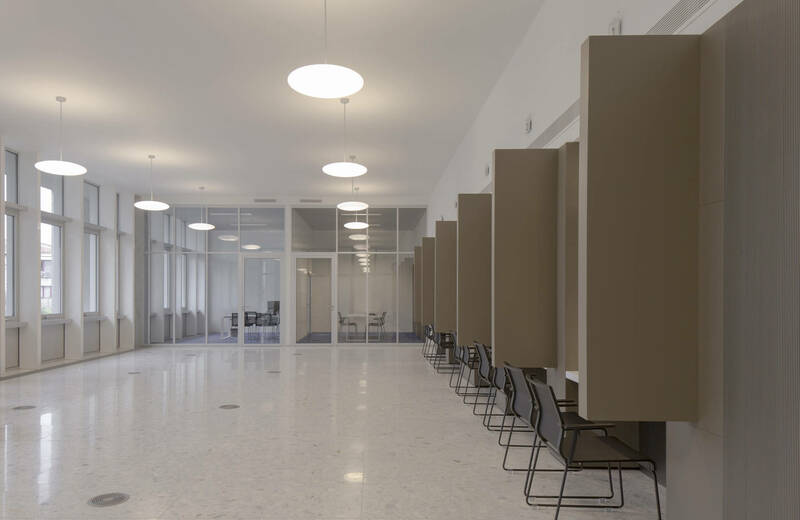 8,000 sq m of accommodation is provided for 100 staff, a large archive and staff canteen in addition to a 250 sq m council chamber, public meeting rooms and offices for the mayor and councilors. 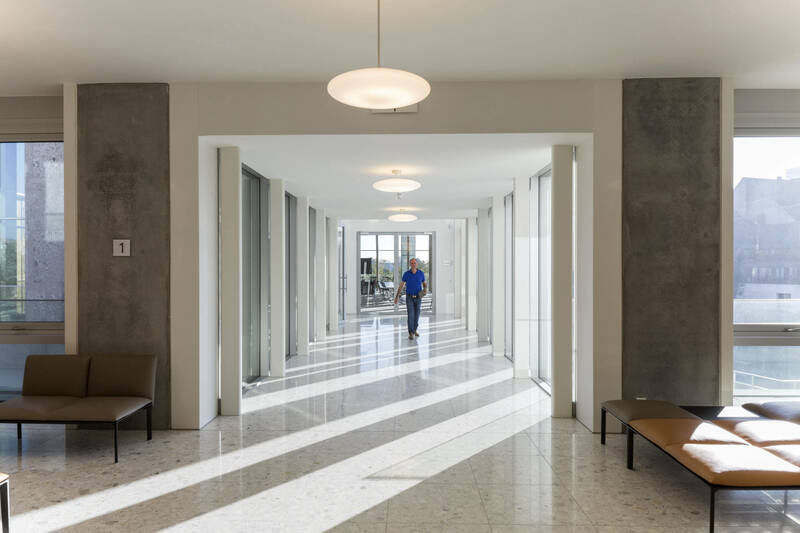 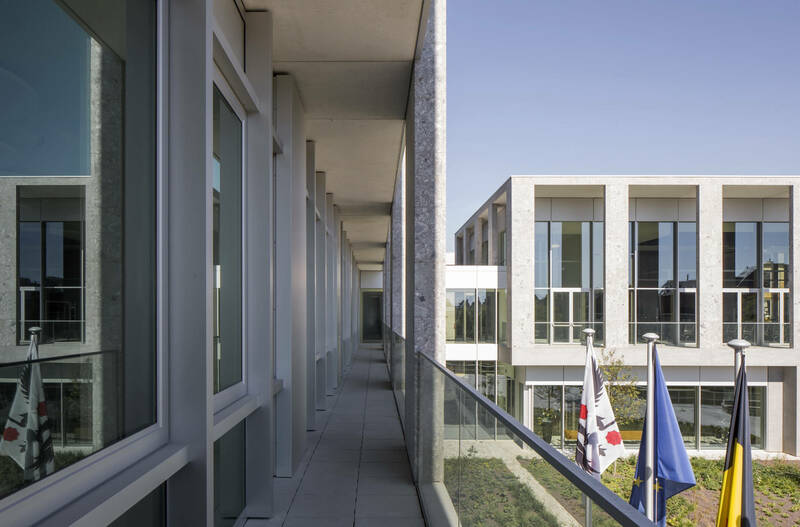 The building is daylit and naturally ventilated, and the major part of heating and cooling is ground sourced. 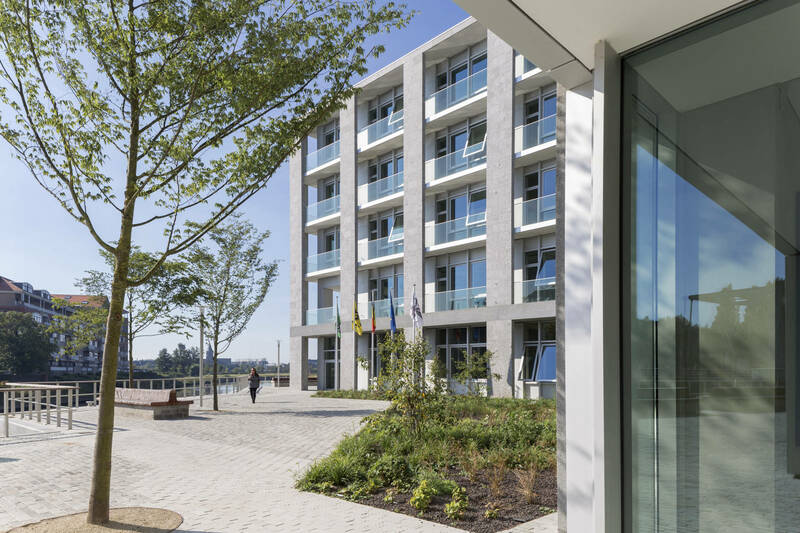 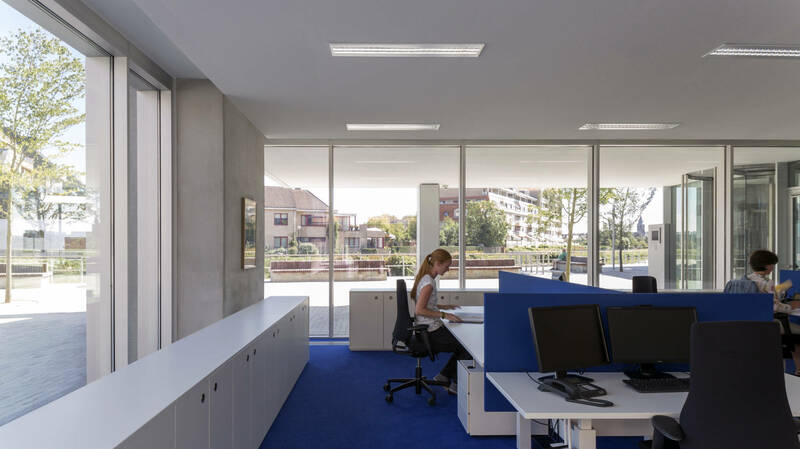 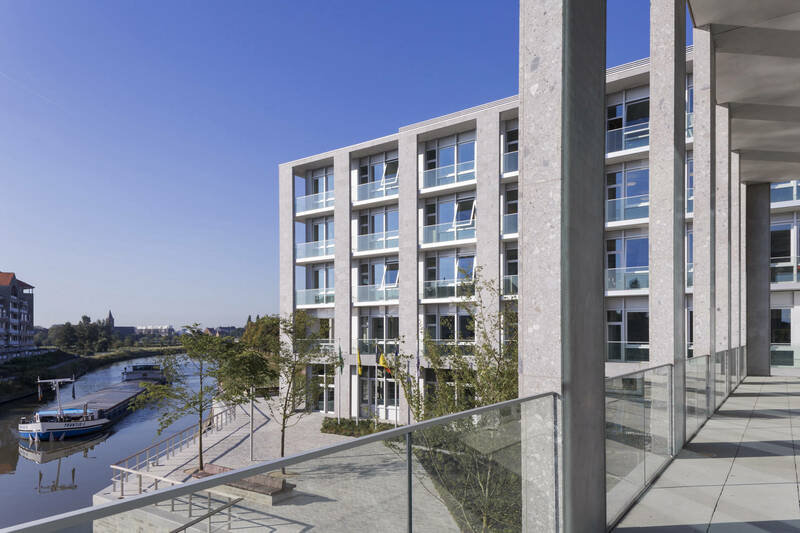 Facades are configured as loggias that reduce summer loads by shading the glazing as well as providing outdoor space next to the workplace. 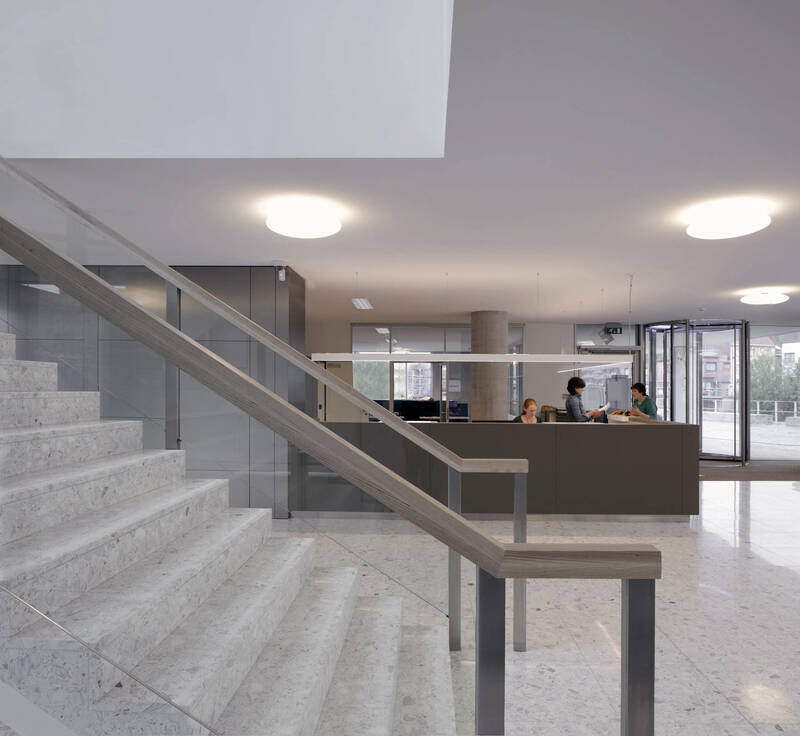 Large public foyers on each floor provide informal meeting spaces between members of the public and administrative staff and officials. 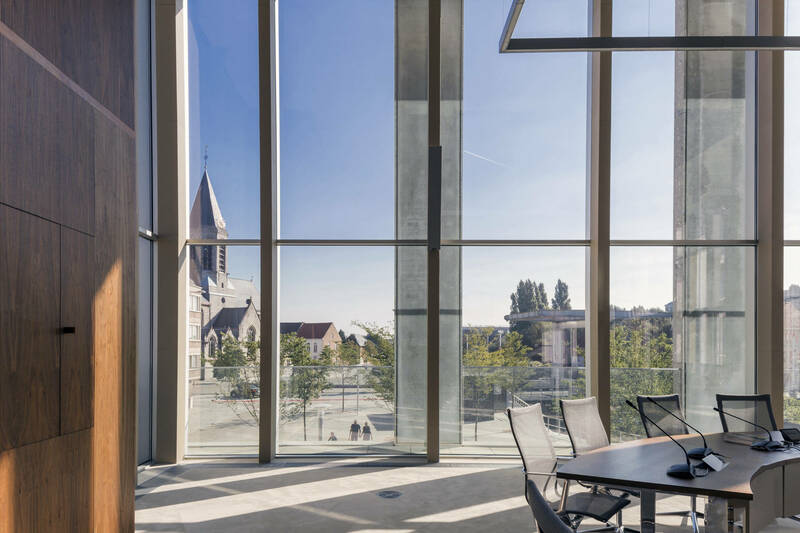 The council chamber has floor to ceiling windows, placing the activity of the council chamber and its frescoed ceiling on display to the people of Deinze.